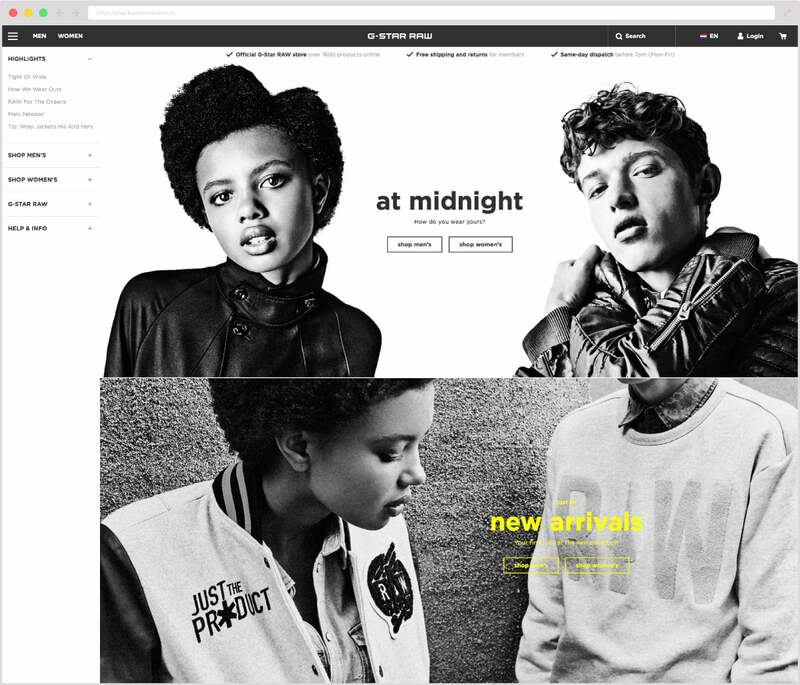 While working at G-Star Raw in Amsterdam I was given the task to migrate the whole e-commerce site to a responsive version. At that moment G-Star had two different website: a desktop version and a mobile site. The two shop were running on the same backend but relied on almost completely separate frontends. I was the project manager in charge of this project. Over a period of 8 months, I directed a Scrum team of 8 people. Stakeholder management with the E-commerce and Marketing manager was a crucial aspect of this project.